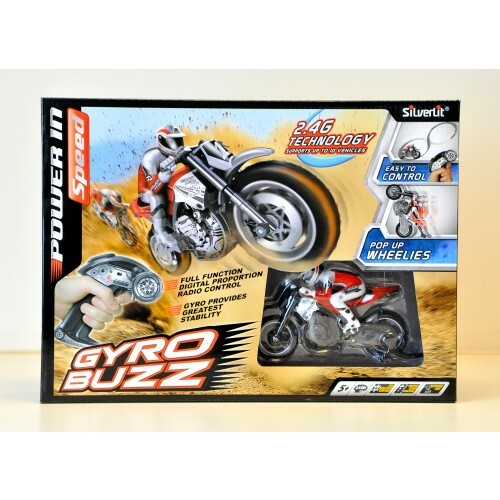 Silverlit 1.18 Scale Gyro Buzz Miniature Radio Controlled Motor-Bike. 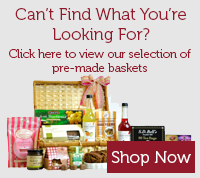 Suitable for indoor or outdoor. 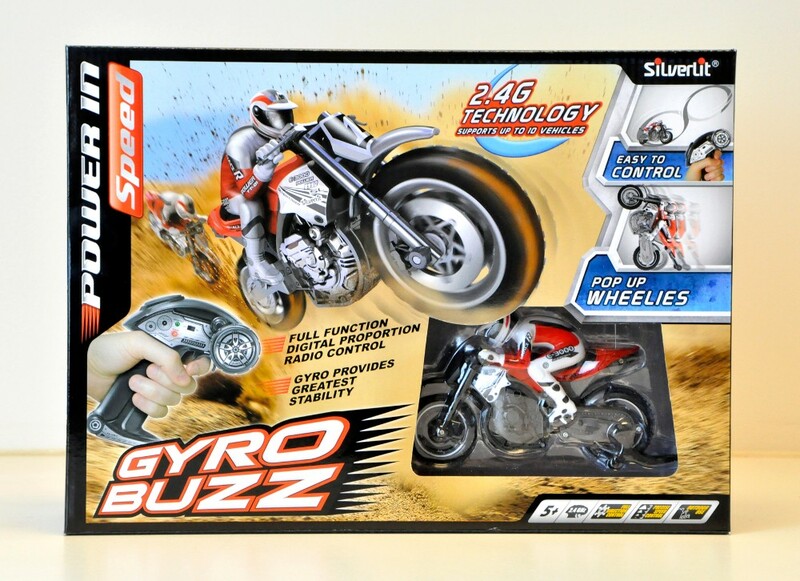 This 2.4GH2 motor-bike performs wheelies and stunts. Incorporates a powerful lithium polymer battery for high performance and fast recharging direct from the transmitter. Requires 4 x AA alkaline batteries. Ages 5 +.